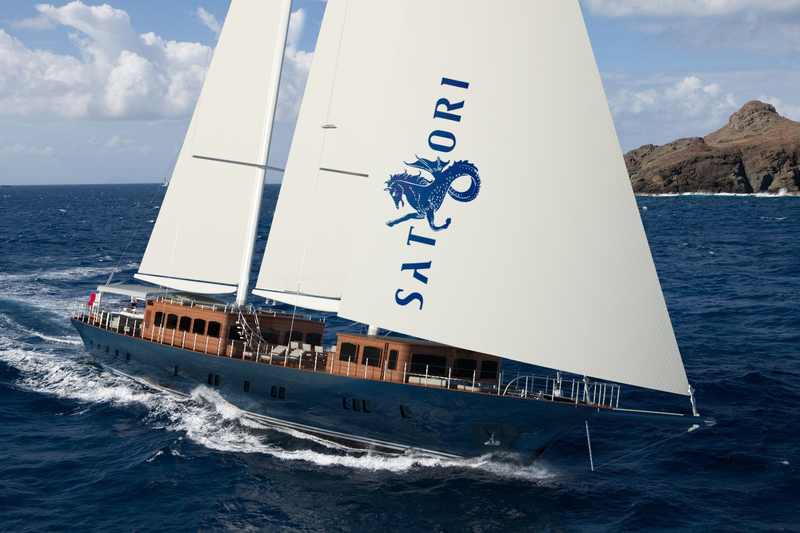 Luxury sailing yacht SATORI was launched in 2017 by the Turkish Shipyard Big Blue Yachting Company and measures 41.5m (136’2’’). This striking vessel has been constructed with accommodation for up to 10 charter guests in 5 beautiful cabins. The accommodation layout includes one full beam master stateroom with comfortable sofas, a study and a fantastic bathroom spreading the entire width of the yacht. The bathroom offers his and hers sinks and a huge hammam/steam show, as well as a stunning walnut tub. Large his and hers wardrobes have been fitted to comfortably accommodate all owners’ belongings. One of the interesting aspects of the master stateroom is the possibility to convert it into a spa, a massage room or a gymnasium cabin with an en-suite bathroom. There are additional four guest cabins with large wardrobe space and lovely marble en-suite showrooms. There is smart entertainment system installed in all guest cabins, intercom phones, refrigerators, safes and the beds have been fitted with very comfortable orthopedic mattresses. Ten people are accommodated in five beautifully appointed cabins with inviting decor and great amenities, including marble bathrooms and smart entertainment systems. 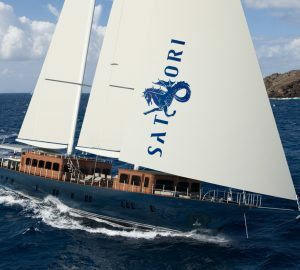 We do have available further amenity, owner and price information for the 41.50m (136' 2") yacht SATORI, so please enquire for more information.